I’ve compiled some quick picks that are versatile and cute (including a few that live in my own closet ☺️). 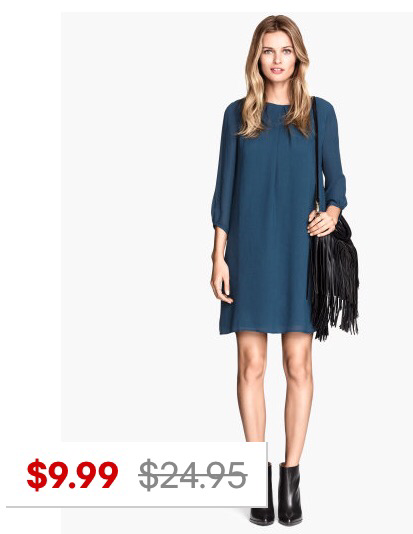 H&M has a ton of mark downs right now for Halloween! I also love this short dress! It’s not actually short! I’ve posted about it before, but it’s only $10! That’s so crazy. I’ll do a post soon of me in it so you can see it! Get it [here]. This wool blend sweater is also 😍😍. 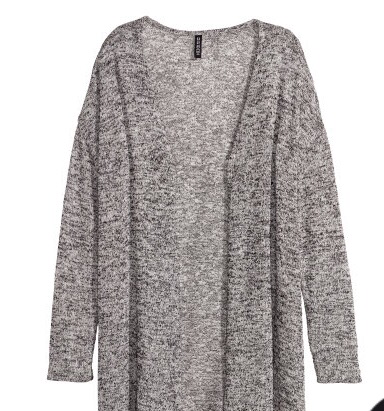 H&M is great for buying neutral pieces to build your wardrobe. I wouldn’t necessarily recommend buy super expensive pieces from here, but they have great basics. 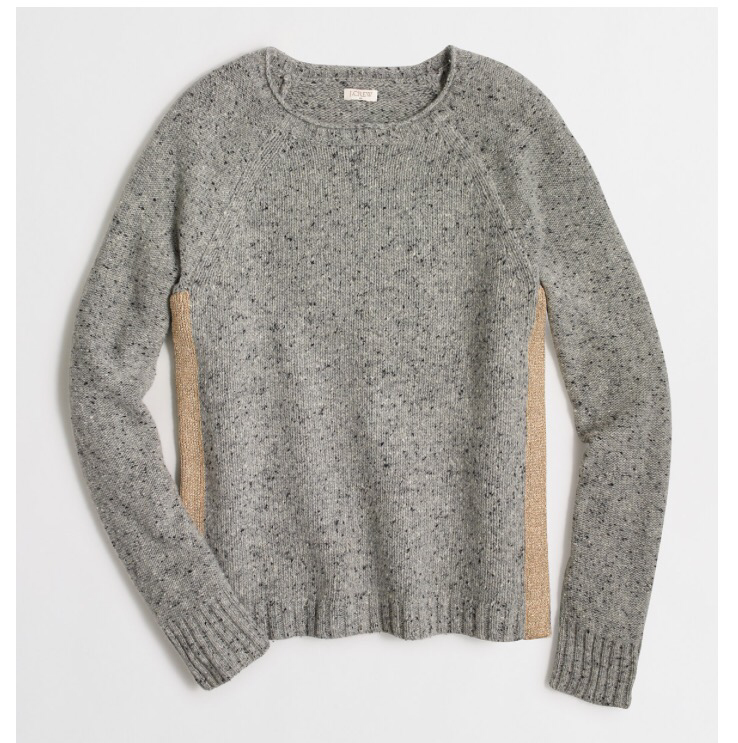 Get this sweater [here]. This donegal shimmer stripe sweater is looking extra cozy on this cold day. So cute. Only $40 with code. 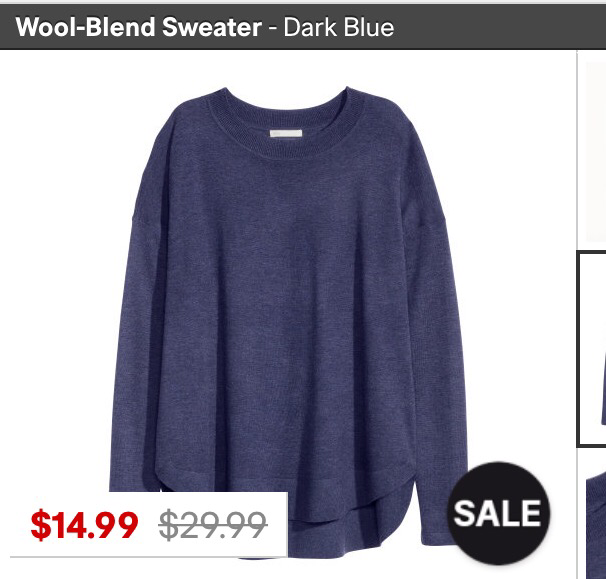 A investment when you’re on a budget, but j.crew and j.crew factory sweaters last for years. 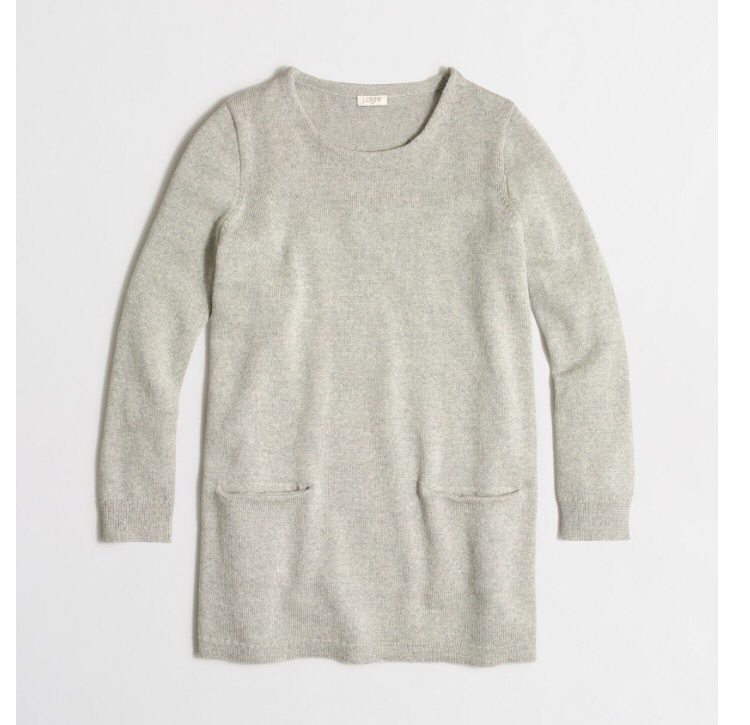 Pocket tunic sweater is so darling! Imagine yourself wearing this with leggings or skinny jeans, tall boots (hunters or leather) and a cute beanie with a pom on the end! You’re practically a Christmas card. Only $27! Get it [here]. D’ORSAY flats- obsessed with pointed toe anything. They are calf-haired and beautiful! Love these and the price. $33. Get them [here]. Love this! Please write a post about where I can find affordable peep toe booties like yours!!! !